Originally founded in 1986, Great Divide Insurance Company is a property and casualty company providing a limited number of products to businesses in Arizona, Alaska, and Hawaii. 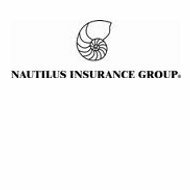 They were acquired in 1991 by Nautilus Insurance Group as a complement to what was then known as Nautilus Insurance Company. Today, the two combined companies and their subsidiaries write standard and surplus policies in 49 states. If you’re looking for health insurance rates from companies in your area why not begin searching by entering your zip code now? Unfortunately, despite the fact that Great Divide and its sister company offer a long list of different insurance products, health insurance is not among them. Any health insurance coverage a customer might possibly have access to would come by way of an umbrella policy. Even so, coverage under an umbrella policy would only be effective after all other health insurance benefits had been exhausted. If you’re looking for health insurance in a state covered by Great Divide, you will have to explore other options. Like many other property and casualty companies, Great Divide sells and services policies through local agents in the states where they do business. Local agents are representatives not only of Great Divide, but also of other companies offering the same lines of insurance. Being a representative of multiple companies allows an agent to compare policies from all of them in order to offer clients the best coverage at the best price. The agent model is common in the insurance business. You can locate a local Nautilus or Great Divide agent by using the agent locator tool found on the Nautilus website. Unfortunately, the tool is limited in its capability because you cannot simply enter your zip code and go. You must enter an agency name and the state in order for the tool to find it. A better bet for finding a local agent would be to contact the Scottsdale office and inquire directly. You might also consider sending them an e-mail you prefer not to make the phone call. A.M. Best gives Nautilus Insurance Group and “A+” rating for their current of financial strength. In terms of future outlook, they are considered to be stable. The combination of these two ratings means that A.M. Best has every confidence in the company’s ability to meet financial obligations in both the short and long terms. They also have sufficient financial resources to pay claims they anticipate for the current fiscal year. As for Great Divide specifically, financial filings indicate they enjoy good financial health. According to 2010 filings, the company reported more than $149 million in assets, nearly $63 million in policy surplus, and roughly $6 million of working capital. While these numbers have been attributed directly to Great Divide it is possible that they apply to the entire Nautilus group. Great Divide and Nautilus offer customer service through telephone, e-mail, and online platform. Their website provides a list of toll-free telephone numbers and e-mail addresses for customers who wish to contact them using one of those two methods. For those who prefer to conduct their business online, the company provides several features to make this possible. Their claims service is accessible 24/7 by telephone, or by filling out an online claim form. Using the online platform allows customers to track the progress of their claim after it’s been filed. Customers may also use the online platform to pay their premiums. They can utilize a single, onetime payment option or sign up for auto pay. With auto pay, a customer submits his banking information, which is then used by the company to bill insurance premiums on a predetermined schedule. Agents also have the same payment options available to them through the online platform. Don’t wait another minute to start searching for health insurance quotes – enter your zip code right now!